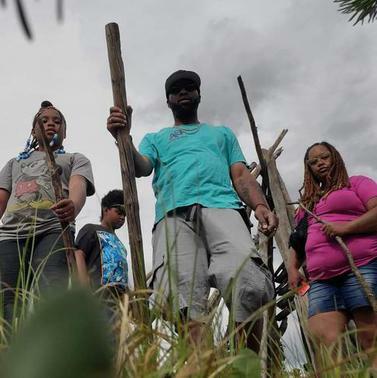 "WE Have To Do Better"
Elijah, Lyric and Brandon Jr.
Brandon R. Ellington has been active in public service since childhood, and has been officially community organizing since the age of nineteen. He has been working with food pantries, starting neighborhood clean up programs, mentorship programs, elderly assist programs, community outreach programs, and coaching youth in basketball. Ellington is dedicated to being an advocate for the underprivileged and disenfranchised .